I know Halloween is over but we'll be posting some of the cute Halloween cupcakes we've seen over the next few days as we move into Movember, Dia del Los Muertos, Thanksgiving, Christmas and Hannukah cupcakes! 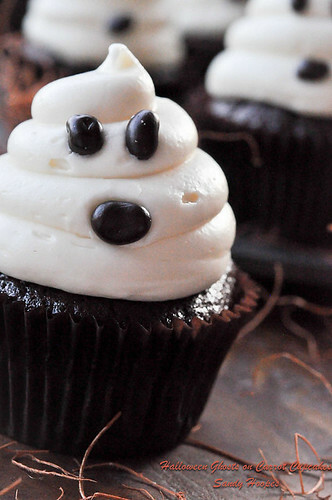 Find out how to make these cute Halloween cupcakes at Everyday Southwest. Nice post! I am writing because I'm a fan of your pages. Sometimes I also would write something to commemorate the happy moment. But it is a long time i did not write for now i am busy in my work. I am working in a pearl necklaces company.In collage, I major in English Teaching so it has some diffilut in this field: jewelry set. Tank you again.